The Hammered Hulk cocktail is perfect for the superhero in your life. 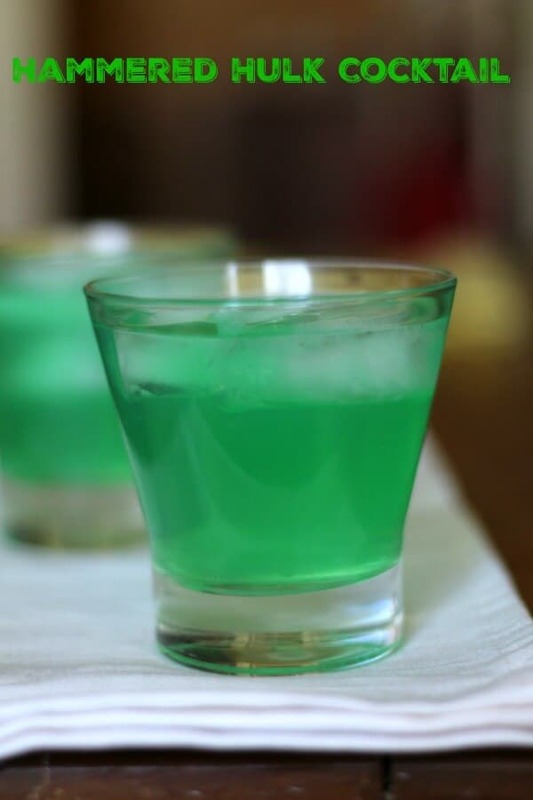 Coconut rum, midori, and other ingredients create a vividly green, tropical drink that can knock even the Hulk for a loop. 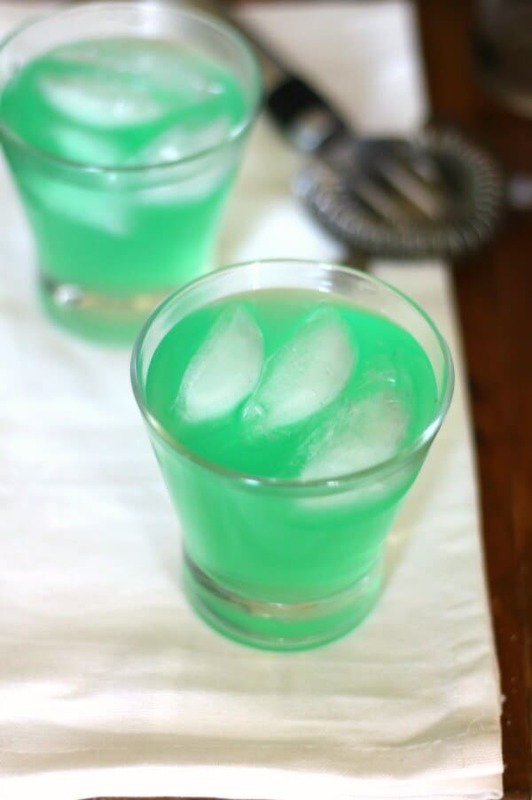 For this recipe you’ll need: Coconut rum, Midori, Blue Curacao, vodka, Sprite (or club soda if you like it less sweet), a lime, a lemon, ice. Last weekend the family, at least the ones that live close, got together for my granddaughter’s birthday. I love our parties and get-togethers — there’s always a lot of laughter and goofing around. Every year my husband gets her a Hello Kitty balloon that stands about 3 1/2 feet tall. This year we noticed it was no longer taller than her. Not that it will change anything — I imagine her grandpa will bring a Hello Kitty balloon to her wedding. Since she’s 7 there’s no hurry. Anyway, when we are all together I like to experiment with different drinks, My entire family is very superhero oriented so I figured it was a matter of time until I started trying some of the superhero inspired cocktails. I happened to have Midori, which has an amazing color. I can take or leave the flavor unless it’s super mixed with something else. When I happened to see the Hammered Hulk cocktail on Pinterest I knew it was what I wanted to make. I always make a recipe exactly as written the first time even if I think I’ll like it better some other way. I was pretty sure this was going to be too strong for me and I was right. So, the next time I made it I added Club soda. Still not right. I don’t even want to tell you how many tries it took — I just am glad that I have a high tolerance to alcohol! Once I got it right I made a pitcher of it. Its fruity and a little fizzy but not too sweet. It’s a little like a tropical punch…but not quite. It’s not a girlie drink but…well, just taste it and see what you think. One thing about it — the color is gorgeous! I love these 0n-the-rocks glasses! They’ll really show off the color of the drink. 🙂 AND keep the theme with these Avenger ice molds which include the hulk. Here’s that Hammered Hulk recipe. Y’all give it a try! This bright green cocktail is tropical and fruity but not too sweet. 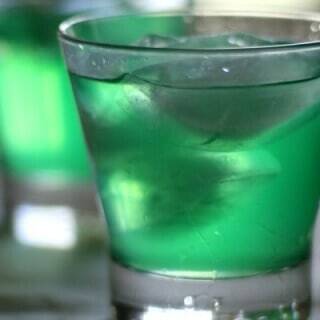 Mix the vodka, rum, Midori, and Blue Curacao in shaker. Pour into an on the rocks glass filled with ice. Add the club soda and Sprite. Squeeze the lemon and lime into the drink.